Shenandoah Joe Coffee Roasters was established as a small batch coffee roaster in 1993 in Charlottesville, Virginia. We currently offer over 25 varieties of specialty/boutique/gourmet coffee using only the finest Arabica coffee from all over the world. Coffee is our passion and we painstaking search out the best coffee available. As a small batch roaster we are dedicated to the craft of roasting coffee. We do not depend on automation in the roasting process, instead balancing the science and art that can only be gained through years of experience. Nothing is taken for granted as we continually strive to provide the best coffee we possibly can. We roast all of our coffees to order based on our wholesale orders and the needs of our Espresso Bar, insuring that only the freshest and highest quality coffee leaves our roasting house. 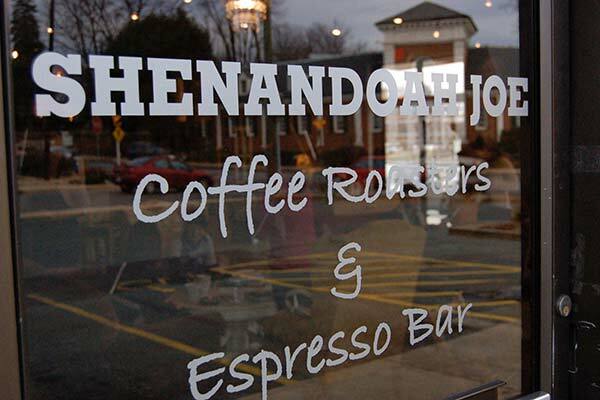 Over the years Shenandoah Joe Coffee has established a loyal and dedicated following. We had dozens of customers that would come into our tiny warehouse every week to get their beans. It was great to talk about coffee with those that appreciate our passion. Every summer we would set up a booth at the Charlottesville City Market and sell coffee by the cup. More fine people got hooked and it opened up the door for even more great conversations about coffee. All along people suggested that we open our own coffee house. In our old warehouse we set up a little one group ECM Giotto and started pulling shots of espresso for our customers. It was wonderful being able to share our espresso with folks. The search was on the find the perfect place to expand our business. At Shenandoah Joe it has always been All About the Joe. Looking to open a coffee house we wanted to create a relaxed place to share out passion about coffee and to foster a community espresso bar. A place where people of all walks of life could hang out, work, converse and connect with one another over a fine cup of coffee. In May of 2007 we moved Shenandoah Joe from our tiny little warehouse into our current location on Preston Ave. in Charlottesville. We continued growing, opening locations in Charlottesville on Ivy Road and the University Corner. We still roast on our small batch San Franciscan, our work horse of a roaster. We still blend and bag everything to order and by hand. We also opened an espresso bar, where you can get some fantastic coffee and espresso. Shenandoah Joe has membership in several organizations related to Specialty Coffee. We make regular contribution to Coffee Kids, an organization dedicated to humanitarian efforts and sustainability in origin countries. In addition we are members of the SCAA (Specialty Coffee Association of America) and the Roasters Guild, two organizations dedicated to promoting quality and education in the realm of specialty coffee roasting. We are dedicated to the success of the workers and growers in origin countries and have developed relationships at origin that foster sustainable growth, both for the coffee itself as well as the individuals and communities that depend on this wonderful crop. 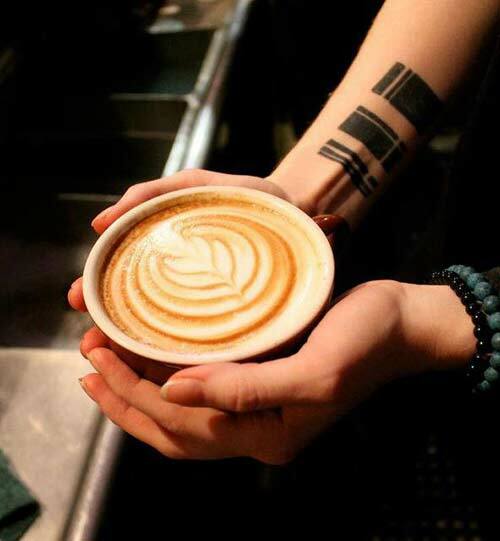 Come on in and enjoy a cup. We look forward to seeing you.